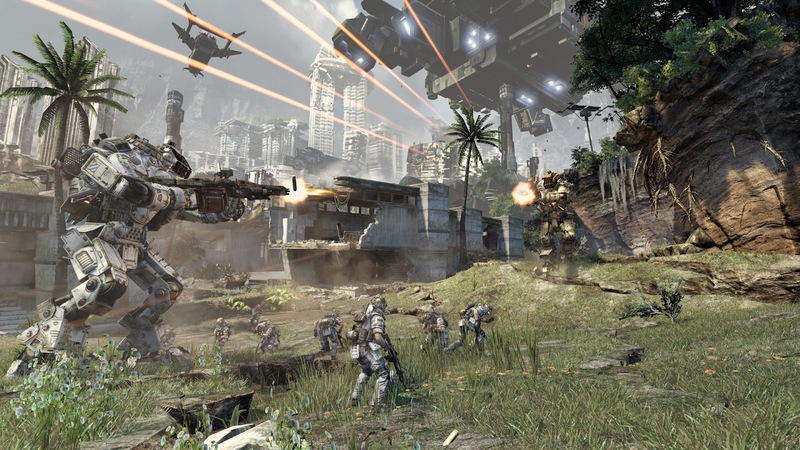 Respawn recently released a Titanfall beta to the general public since February 14th, but the only way into it was if you was lucky enough to be selected from the vast amount of applicants, as of Feb16th the beta was opened up to everyone on Xbox One and as of this moment its left our hands. PC gamers had to wait an extra day as Respawn and Microsoft are working on opening that version up to fully stress test the servers, which I must say other than a small hiccup on the 15th, has been running very smoothly. Actually because of that small downtime, the beta was extended for a day longer than was originally intended! I first played Titanfall way back in August last year, then again at Eurogamer in September, and then I had no other choice but to go cold turkey. If you read my old preview you'll probably know that I was pretty hyped up about it, well now the beta is here I've finally had more time on it, however this time in the comfort of my own room. The beta had three different game types, Attrition which is a fairly standard team death-match mode, Hardline which is a capture the flag gametype and finally, Last Titan Standing which is pretty much self explanatory. Speaking of Titan's, the beta only featured one of them, the Atlas (which is pictured above). It can be kitted out with three different primary weapons, a chaingun, a rocket launcher or a high powered rifle. As well as the main weapon, you also have a shoulder mounted rocket launcher which is very handy to use while you reload the main gun, this also has two different modes available, either a 16 missile pack, or a lock on variety that fires a barrage of missiles. Finally you have a couple of other abilities at your disposal to prevent you taking damage, either a shield that holds enemy bullets in the air which you can then fire back or an electrical gas that you can deploy to take care of any enemy pilots that are climbing on your Titan. At the start of the game, you have a 2 minute timer until you can call in a Titan, taking out opponents will knock some of that time off so aim well and you can have a giant sky mech in no time at all! There's also a bunch of different setups you can loadout your male or female pilot. The design of your pilot's outfit is designated by whatever gun you have equipped, a machine gun, shotgun, SMG or sniper rifle, all pretty standard weapon types for an FPS. There's also a fifth gun which is an auto-locking pistol, fairly unique to this game, all you have to do is aim it in the general direction of the enemy and it automatically targets the heads of up to 3 people standing in front of you. Depending on what type of enemy is in you sights changes the amount of time it takes to actually lock on. There were two maps on offer, Angel City which has been previously playable at events and a newcomer map called Fracture which is an area that has large generators and buildings, apparently having been hit with an earthquake, resulting in the land become disturbed. Also available for the first time is burn cards, these are perks that you can use either as a game starts or whenever you get taken down. These are all one time use items that will give you a better chance when you redeploy. The most common types are weapon power ups, less common are the speed up times for Titan deployment, rarer still is the alternative Titan's, I was lucky enough to be able to call in a Stryder class Titan at the start of a game via a burn card, a little unfortunate that I ran into a bunch of enemy pilots who knew what they were doing, who quickly descended on me and took me apart with some deft team work. Overall the game’s controls were sublime and due to the small teams of human players scattered in with the bot players, even a complete rookie can feel like a badass within minutes because there's always something to shoot at and you won't die over and over again like you do in almost every other FPS multiplayer. Levelling up happens often enough to have you constantly unlocking something new so there's lots of things to try out as you get better at the game. 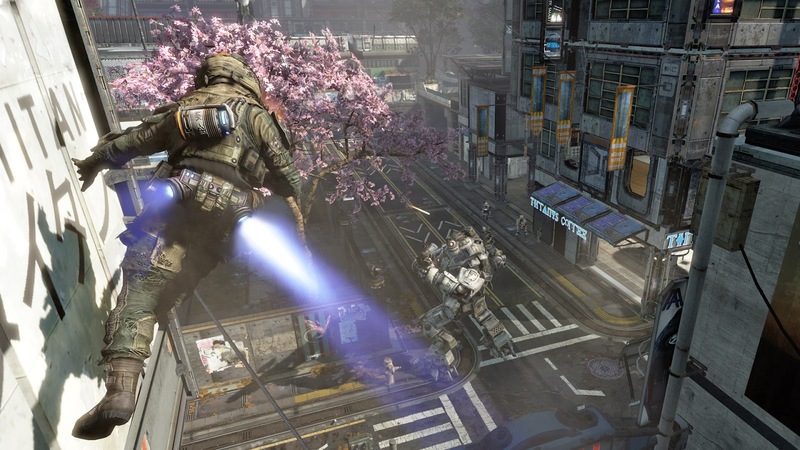 Titanfall is the next gen game I've been waiting for, and the main reason I bought an Xbox One. I spent just under 20 hours in the Beta. I went from immediately loving it to hating it to loving it forever. I've written several articles about it including three different Beta Impressions ones. There's also one where I talk about why the bots are awesome after I really hated them.